THE LIFE-CHANGER! The man who pointed me towards Jesus Christ in 1989 is now, at the age of 99 years, ‘at home’ with our Saviour, the Son of God. He utterly befuddled me! As a non-believing anti-Christian I was completely out-of-character in accepting an invitation to hear the world-renowned evangelist at Earls Court in London – never did I suspect my own well-being hung on my reaction to that request! Continue reading Joel Rosenberg’s report BREAKING: Billy Graham has gone home to be with the Lord at age 99. He preached the Gospel to 200 million+ face-to-face, more than any man in history. Read Anne Graham Lotz on her father and his message in Daddy Is Home and his son Franklin Graham’s statement on the Billy Graham Evangelistic Association Facebook plus his op-ed dated 21st February Billy Graham’s New Home. Why the Date of Billy Graham’s Death Could Have Prophetic Significance for the Church – Premier Christian article of Anne Graham Lotz’s remarks at funeral. Post updated with above links on 8th March. It wasn’t a normal, vertical door but a trapdoor – and it was about to be sprung with yours truly standing on it! In terror, moments beforehand I’d thought “My number’s up!” because I was suddenly at the end of my life AND shocked to realise hell’s below – AND, I’d be heading there – even though I used to think hell didn’t exist! I was wrong – oh so badly wrong!! Being anti-Christian had been a serious mistake – but it was now far too late! Yet I’m now able to tell this true story; it is told purely for the glory of the Lord Jesus Christ. We need to go back in time to the evening of 13th September 1989. SEARCHING FOR ‘TRUTH’ BUT HEADING FOR DEVIL’S DOOR! Since my teens I’d wholeheartedly embraced esoteric spiritual doctrines and practices such as the Eastern and Theosophical belief of reincarnation and ascended masters, as well as those of Western occultism plus concepts generally known as deism. I thought that as all religions are equal there are many paths to a supreme being – but which is not the same as the anthropomorphic deity of the Abrahamic religions. That is, it’s different to and far superior to human beings – a ‘cosmic mind’ with which we can be attuned and attain ‘cosmic consciousness’, as experienced by many and practised in the associations of which I was an active member. I appreciated the linkage with mystical Islam of Sufism as well as having read its Book. It was only after becoming a born-again Christian that I studied its early history and came to understand its fundamental, doctrinal differences with Judaism and Christianity. Thus, two decades of an occultic practicum made me disdainful of churches and Christian clergy and laity. They were all so very behind the times – even archaic! In my intellectual and spiritual pride I thought their preaching just couldn’t compare with the more profound philosophy found within ‘New Age’ movements. Such arrogance, of which I’m ashamed! Sometime in July/August 1989, a young man named Peter knocked at the front door with an invitation to hear the world-renowned evangelist Billy Graham at Earls Court in London. We could be taken in a coach trip from outside our house west of Reading. How much? Nada, entirely free! Naturally, I rejected the offer outright but my almost-teenage son piped up he’d like to go because a classmate had told him about it. So I said I’d take him. As can be gathered from the story of my journey thus far into spiritual captivity, personal experiences had made me very wary of churchgoers. Never did I suspect my own well-being hung on the moment of that request. Can you imagine my bewilderment, therefore, upon sitting ‘up in the gods’ in the Earls Court auditorium and finding myself agreeing with what Billy Graham said as he spoke from the rostrum? I was flummoxed! Utterly bewildered! Who’s thinking that? Can that be me? Never!… Really? As a follow-up, those who’d been on that trip were invited to an informal meeting at a local ‘free’ church. The leader explained similar chats could be held at our own homes, should we so wish. I agreed to be on-hand for my son, but I was definitely NOT interested. A youth worker, Peter, was assigned to help him but, in practice, he ended up discussing the material with me. The evening of Wednesday 13th September 1989, is his third visit to discuss the follow-up material to Billy Graham’s campaign. I haven’t divulged any of my firmly held opinions – but this time he goes too far! This session is entitled, ‘Yoga, Eastern Religions and The Occult’ – in all of which I’d been involved long before Peter was born! He shows a diagram of two cliff-like objects facing one another. One represents heaven and the other, earth, with a large, deep gap separating them from one another. Over this Peter then places an overlay depicting a large plus sign over the gap and the ends of its horizontal arms touch each ‘cliff’, thereby bridging heaven and earth. He explains that the cross of Christ is the bridge between both realms. He then says the only way to God is through Jesus Christ. This statement implies my ideas are incorrect. Without giving the game away I gently question him on this. But he insists not many paths lead to the same, supreme God – there’s only one way to one almighty God and it’s through his Son Jesus Christ. I’m thinking, “He doesn’t know what he’s talking about. How can he, who’s not done anything I know far, far more about…just how can he tell me it’s wrong? He’s wasting my time!” Peter’s ideas are not only mistaken but also intolerant. Before the end of the evening I’ve had enough! Little did I know that I may not survive that night! That night’s second visitor was far more challenging – this time it’s life or death – MINE! The account is now republished overnight – when else?…. A viral video in which an Israeli teenager describes what happened and what he learnt about the return of the Messiah whilst clinically dead is making waves around the world. Being controversial as well as fascinating, it raises many questions and reservations. I first thank a contributor ‘over the pond’ for sending me the information late last month as well as folk here at Father’s House of Prayer for emailing me this week, thereby spurring me into action! I’d read the first report but not had opportunity to see the video until a few days ago and, having now done so, I recognise its great importance. So I’m posting the video and links to covering articles for your earliest attention. As the video drew to a close I especially noted that the boy shares an insight directly related to my own observation about the date which he refers to on the End-times! (See Tuesday’s post on September’s importance). FIRST, read Breaking Israel News’ exclusive report Israeli Teen Returns for 15 mins of Clinical Death with Spiritual Messages Concerning the Coming Redemption. Later, they published an account of the interviewing rabbi’s own near-death experience and thus qualifying him to appreciate Natan’s experience. As you assess teenage Natan’s account with what Jesus teaches, also watch his face as he recounts the good and troubling parts of what he learned and saw in the ‘movie of the future’. The next post considers Nathan’s reference to an End-times war having started on 11th September 2015 >> click to continue reading. Neuroscientist Comments on Neurosurgeon’s NDE. Advent True Story: part 2 – Night Visitor Breaks In! That night of 14th September’s second visit was far more challenging than polite Peter’s chat – this time it was life or death! And I went back in time! I find myself in the lounge of my childhood home and in front of the large casement window abutting one corner of the room. I look up into the inky, dark night sky. I’m sceptical about the existence of UFO’s, but now another ‘fleet’ appears from the right and heads towards the first. Beyond any doubt I realise my involvement in the occult was most definitely wrong. Consequently, I deserve the undesirable abode! “My number’s up!” I groan, inwardly trembling in knowing I’m about to die at any moment and an invisible trapdoor I’m standing on will drop me straight into hell. Uttermost mortal terror strikes and I dive right under the drop-leaf table in the other corner of the room to hide from Jesus. But he knows where I’m hiding and swoops down straight through the wall at the side of the window to stand in my room and right beside the table! Cowering under the table with my back turned towards him, I glance over my shoulder and see him from the waist down, his face out of sight above the table. Then I awake! Thoroughly alert, further sleep eludes me! Later I understand that my terror had been ‘the fear of God’ brought through his Holy Spirit in convicting me of my personal sinfulness (ie. wrongdoing) and, thus, preparing me to receive God’s grace (ie. undeserved favour). Also, what happened when I touched Jesus proves he’s intimately acquainted with the private details of my thoughts as a little boy. The last moments of the dream show he will topple my childish concepts of him and thus hint at his replacing them with a sure knowledge of his true identity. The most remarkable, life changing dream I’d ever had. Therefore, over several months I carefully reconsidered all my New Age notions. Meditational and mystical exercises had resulted in my having some unusual, ‘psychic’ dreams, but none whatsoever like this! The only remotely similar dream was that of an ‘altered’ state of consciousness known as ‘nirvana’, or bliss, where I’d been taken behind its alluring golden light. However, ecstasy then turned to abject terror at the sight of an approaching hideous, devouring beast of blackness far worse than any nightmare! (I didn’t take drugs.) In this dream, however, fear had been overcome by Jesus himself and his wonderful mercy and love – and pervasive peace. Time now to take a reality check. We’ll find this story can be validated and in three ways! The first confirmation was to come from an unexpected source…as herein. Do we choose our post-mortem existence? Death, or ‘destiny’, it was my choice – but I didn’t know, and I’d chosen wrongly! Thankfully, I was given the chance to choose again – yet once again flunked it! How? A young man who happened to share my birthday pointed out facts. Yet I decided, quite deliberately, to ignore them and thus made the wrong choice. Then another, very much older man, came like a thief in the night. This one showed me how those incorrect decisions bear consequences affecting my ‘after-life’ – if there is one! After 26 years, that life-changing event is still vividly etched within me. Maybe this sounds far-fetched or fictional, like Dickens’ A Christmas Carol where ghosts confront Ebenezer Scrooge? The eventual outcome of our own life – our post-mortem existence – is a matter of fact. And this outcome lies with our own hands – it’s our choice! 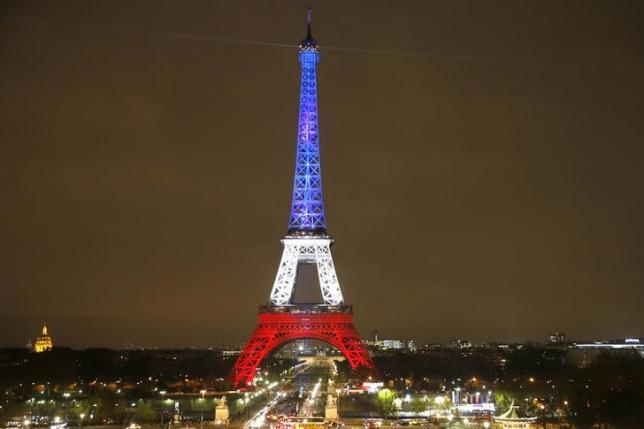 A reader’s comments upon my provocative remarks on the massacre in Paris motivates me to continue re-visiting this blog’s earliest posts for the benefit of new readers and visitors. So I’ll illustrate my above contention with a true, Advent-related story (part 1 published). Most saddening, however, is the fact that one of the songs joined in by attendees at the Bataclan concert was blatant satan worship! Eagles of Death Metal played their ‘kiss the devil’ (song lyrics) > then many dozens of souls went down into his dark domain! Harsh words in a tragedy, but I write from personal knowledge. In 1989 it nearly happened to me during a near-death experience, but I was most blessed to be Rescued from Hell. 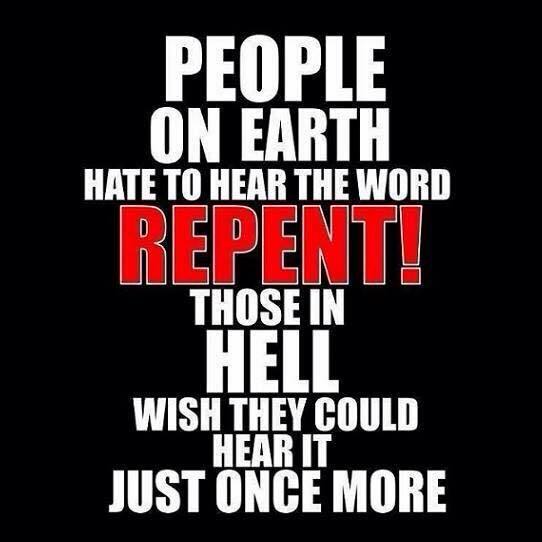 Therefore, I am most grieved they’re paying the price of having put their souls in grave peril. (See comments below and press press report – and Lightning-Bolt Tinted Glasses gives much food for thought!) 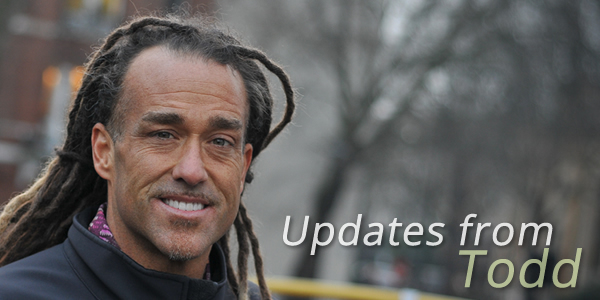 Update Jan’16: this video shows what true worship is like. “…we are on the brink of something great and something terrible. Time is running out for us and we have to be prepared for what is coming, particularly this nation (USA), but there are ramifications for other nations around the world as well. We are on the brink of something great…” (emphasis added). 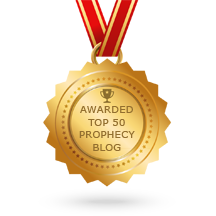 Whilst writing I’m reminded of a strongly anointed word given within weeks of launching this blog. 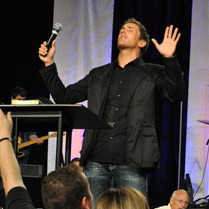 On 6th January 2012 evangelist Nathan Morris told how the Lord had spoken to him with Holy Spirit strongly impressing upon him that such will be the unfolding of global events in 2012 – and in days that lie ahead – that fear will strike the hearts of men; ever-increasing unrest and a spirit of confusion shall be released upon the world, uncertainty and hopelessness will even grip the hearts of believers. Neville spoke of France’s poor future being a consequence of the way it persecuted the Huguenots. He could also have mentioned the post-Revolution republic’s secular stance against scripture. Today’s president, Francois Hollande, is an avowed atheist although he was raised as Catholic (Quartz: These are the religious beliefs of Europe’s leaders). (15.12.15) For more from France read No Surrender This Time by French journalist and public intellectual Michel Gurfinkiel. Editor-in-chief of Valeurs Actuelles from 1985-2006, he’s written several books on geopolitics, international relations and culture. He is the Founder and President of the Jean-Jacques Rousseau Institute, a conservative think-tank, and a Shillman/Ginsburg Fellow at the Middle East Forum. It is noticeable how Paul Keith’s authority and maturity in Christ have taken a ‘quantum leap’ since seeing him at ‘Days of Wonder’ in Cardiff. After Cardiff, I meditated upon apostle Paul’s letter to the early Ephesian church. Here, he addresses current – and future – church leaders from the heavenly realm, and beside Jesus Christ in Father’s throne room. Why is that realm, which Paul describes as a Christian’s proper place of life, a rarity for most of today’s church leaders? Some, however, do know it personally and can thus speak from direct experience. “I’m of the ardent belief…that the End-time Bride of Christ is to also access that realm – as did the apostle Paul – to receive our revelation, our understanding, of the Gospel. “Not one word can be added to the 66 books of the Bible, but with the mass confusion we have right now that’s being preached from pulpits…we need somebody to access heaven and tell us the truth! Is that not the truth? This is encouraging because in a ministry time he noticed what was stirring within me, and has since continued strongly. Also, in view of my past involvement in the New Age/occult, I’m especially impressed with Paul Keith’s correct instruction upon, and warnings about, the great dangers of occultists’ practice. Christians are to go through the door God has provided – Jesus Christ. Finally, if Paul Keith’s incredible story of a translucent lady puzzles you, the sister and her blessing are known to our church. Heavy rain drove me into the shop and I got a newspaper; those almost archaic forms of data download – the kind of hands-on ‘fix’ where you can get your hands all around and dig inside, even doing aerobic exercises whilst opening and folding pages of this broadsheet (23″x15″). And there’s such scrunchy noises I can imagine a sizzling meal, but a large cappuccino and yummy almond croissant suffices on our Fridays out! So today, I open up and am surprised to find this FULL page feature connects into my previous post. It is by Colin Blakemore, Professor of Neuroscience&Philosophy at The School of Advanced Studies,University of London. 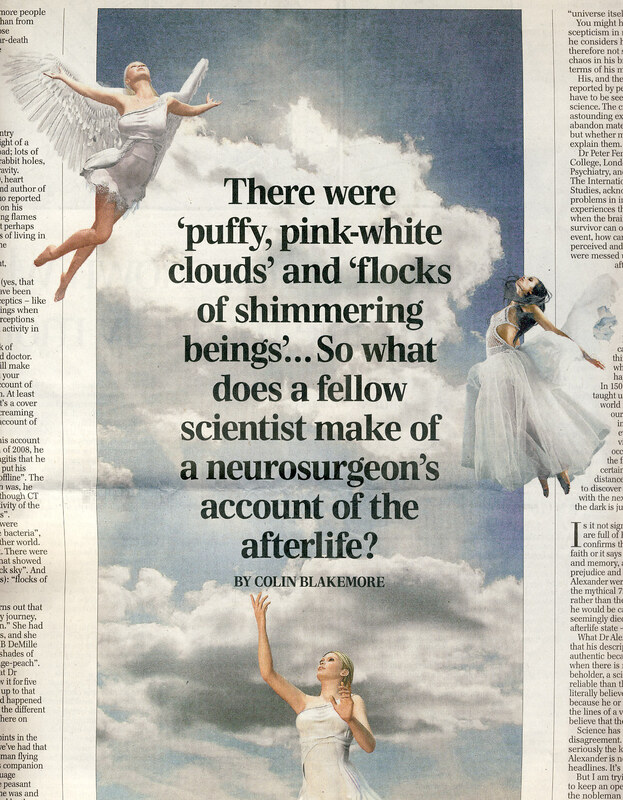 Trying to keep an open mind, Prof. Blakemore examines the latest account of a near-death experience (NDE). It’s usual for such events to be summarily dismissed by all materialistic sceptics but the professor steers mid-course in his discussion. 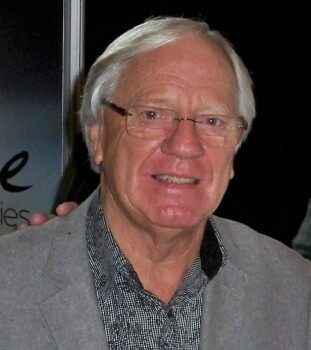 A brief summary of neurologist Dr Alexander’s NDE is then followed by reference to Dr Peter Fenwick’s work as President of the British branch of The International Associa-tion for Near Death Studies in which he recognises “deep problems in interpreting first-person memories of experiences that are supposed to have happened when the brain was out of action”. The same problem applies to dreams, writes Colin Blakemore. Science has progressed by challenge and disagreement. But what is needed to consider seriously the kinds of claims made by Dr Alexander is not flowery prose and hyperbolic headlines. It’s hard evidence. Hard evidence? Hardly! Material science simply isn’t up to the job of understanding non-material events or exist-ence, and I don’t mean psychological matters. It cannot handle and comprehend immaterial information because of erroneous, or incomplete, asssumptions. [I write as one whose very first non-curricular investigations as a young teenager were into NDEs, before I studied physics and psychology.] Answers may possiblly be found with an increasing understanding of multi-dimensional maths. Or, perhaps a better appreciation of reports from saints past and present who encountered and operate in the heavenly realms of existence may provide illumination? Hard evidence? Why not consider this: knowledge of the appearance and identity of a deceased older sibling by a young child and of whom they had no knowledge from the family? 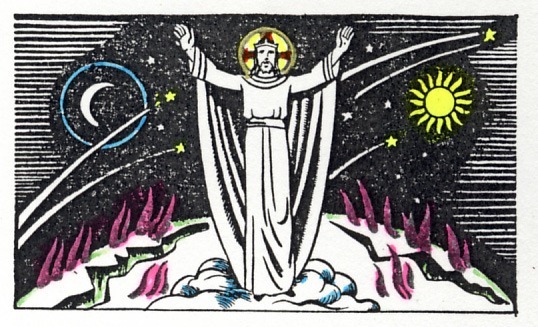 Or what about the actual appearance of Jesus Christ being quite different to that commonly depicted in illustrations? I’m referring to accounts of youngsters Colton Burpo and artistic prodigy Akiane Kramarik, as reported in my Easter posts here and here. Colton’s reports were checked and validated against ‘hard evidence’, as well as corroborated in detail by another person who’d had a similar experience. Prof. Blakemore implies that such children’s accounts could be as reliable as those of any scientist. What do you think, my reader? An intriguing testimony from a medically qualified person who makes some interesting comments. It will be worth comparing his forthcoming book’s account with that of 3 yrs old Colton Burpo (see here). Thank you Tembisa for picking this up from YahooNews. See also next post about a neuroscientist’s comments on this experience. So what does Jesus look like? 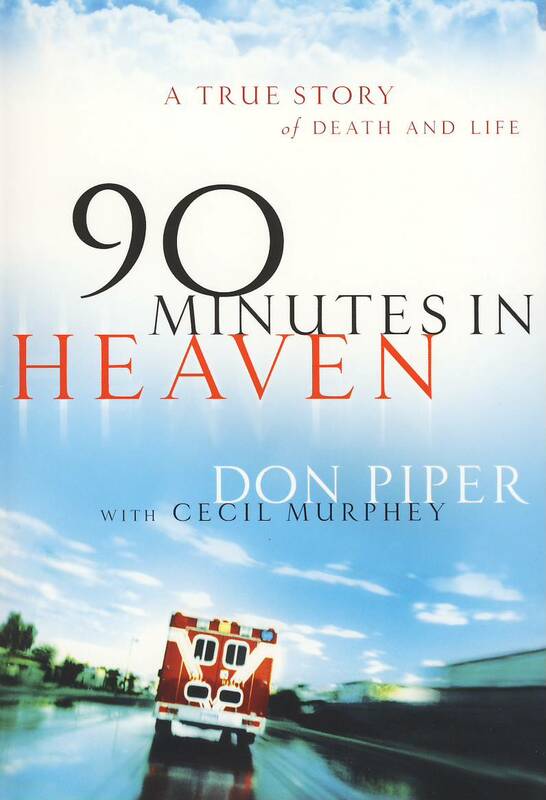 Upon reading my brief review of Heaven Is For Real did you, too, not end up asking that question? Whilst reading the book I was most interested in this simply because Jesus’ face had been out of sight during my encounter, as explained here (at 1st Validation). Also, I was familiar with ‘portraits’ of ‘Master Jesus’ to be found in New Age circles but didn’t regard them as being authentic. Can you imagine how deeply stunned Todd and Sonja Burpo were whilst driving with their two children to hear their 4 year old suddenly reveal that he’d heard angels and met Jesus Christ? They had to stop at a nearby snack bar to hear again, and digest, Colton’s very quick account of what happened whilst being operated upon. As only a young child can, he described being with Jesus. Over the course of many weeks a fuller account gradually emerged, usually popping out during play times, of what Jesus looks like and of many things Colton ‘did and saw’ during minutes, not hours, of earth time. There was also, and more importantly, what Colton knew. Almost all of this could not be attributed to any teaching or children’s Bible stories! The first answer to what Jesus looked like was the answer to a spiritual ‘riddle’ : what’s the only thing in heaven that’s the same as it was on earth? He’d said, right off bat, “Jesus has markers”. His father claims Colton didn’t know about the crucifixion wounds at that age because their Weslyan church made no references to or had any pictures of them. For nearly three years his parents would show Colton dozens of illustrations depicting Jesus but they all left him cold. He never saw one that he thought was right. He just could not recognise Jesus in any. One day his father came across a CNN report of a young girl Akiane Kramarik, a child prodigy who began painting exceptionally sophisticated artwork at the age of 6 years. A couple of years previously she’d begun having ‘visions’ of heaven, even though both her parents were atheists! The authors of Heaven Is For Real write, ‘Slowly her mom began to accept that Akiane’s visions were real and that, therefore, God must be real’. My seven-year-old turned to look at me and said, “Dad, that one’s right”. Entitled “Prince of Peace, Resurrection”, her portrait can be seen below and as #3 in a slideshow of Akiane Artistry. The next slide is Jesus praying, “Father Forgive Them”. To learn how she saw and painted Him read For child art prodigy Akiane, Jesus is for real. Below, Ray Downing demonstrates how the picture Colton saw matches the image of the deceased Christ as captured millennia ago on The Shroud of Turin. 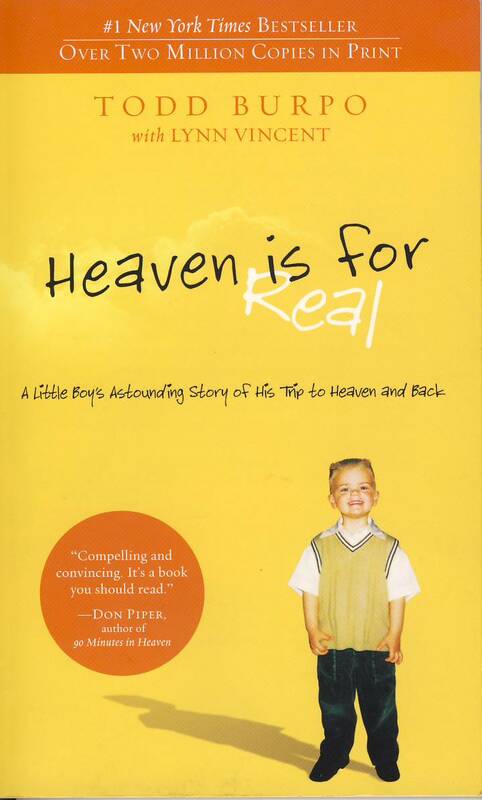 Also, you can watch Colton at 11 tell his story on video on heaven is for real website. On Akiane see Wikipedia, and for all her paintings visit Akiane gallery. On the Shroud’s quantum dynamics, see next post under ‘A Tableau in Time’. For extensive research papers on the Shroud visit The Shroud of Turin Website.